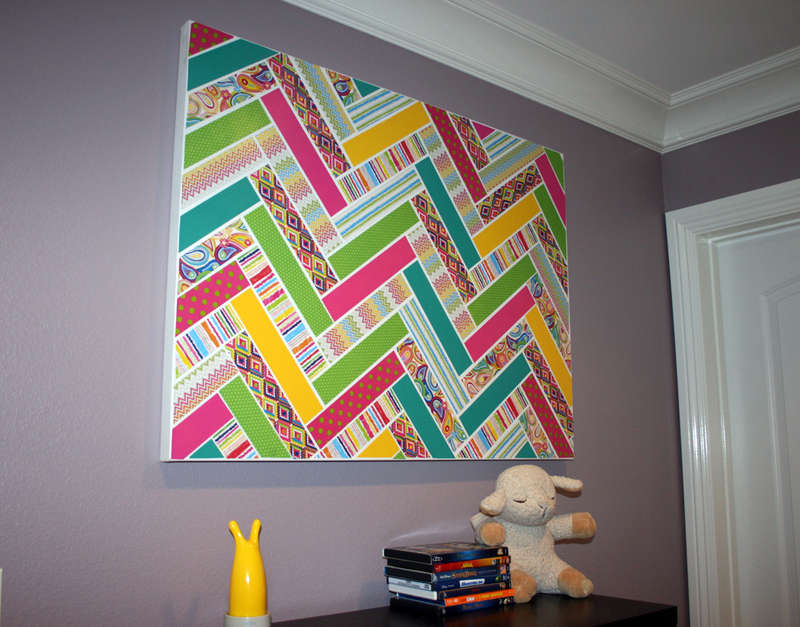 Scrapbook Paper + Canvas = Awesome! 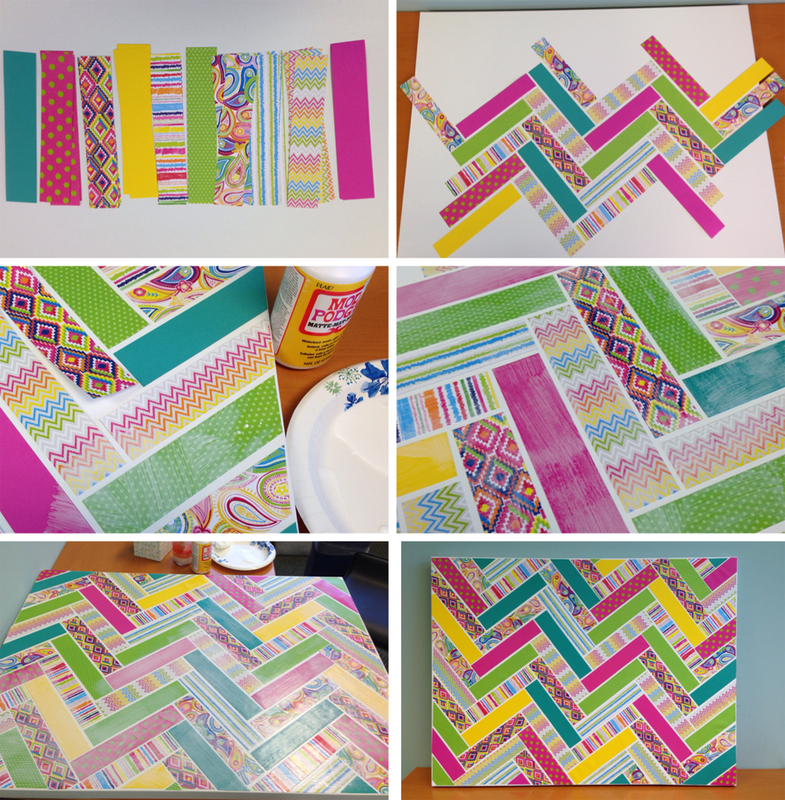 I was inspired by a small piece of artwork I saw on Pinterest that took magazine strips and glued them to a board creating the ever-so-popular chevron pattern. I thought I could make it super-sized. 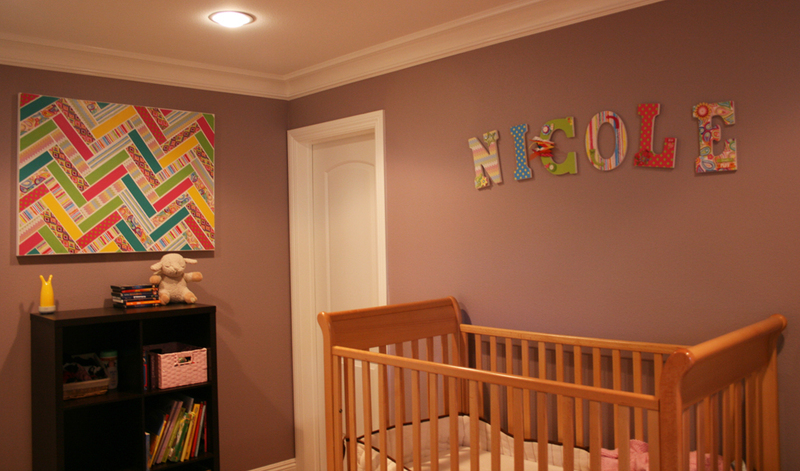 I already made paper covered letters for my niece's room, click HERE to see the blog. I wanted to add a piece of art to go with the letters I had decorated. 1. Cut strips of paper, it will depend on the size of your canvas. My strips were 2" x 10". 2. I started from one side and just started laying them out in a zig-zag, weaved pattern. Not all of them are exactly spaced perfectly, don't worry. 3. Piece by piece I mod-podged the pieces onto the canvas. 4. After I got all the pieces down I went over it with mod-podge again to make sure they were all sealed down. Using a coordinating paper pad is fun and a great way to add a theme to a room!